H. J. Culpepper, Son, M, S, W, 3, ---, GA/---/---. Susie P. Culpepper, Dau, F, Dec 1898 (1), S, GA/GA/GA. Dougherty Co., GA Cemeteries, Volume 2 (Riverside and Crown Hill), Albany, GA: Southwest Georgia Genealogical Society, 1990, Repository: LDS Family History Library - Salt Lake City, Call No. FHL US/CAN Book: 975.8953. Riverside Cemetery, Albany, Dougherty Co., GA.
+ Lura Belle Culpepper, 16 Feb 1874 – 6 Dec 1936. Elizabeth G. Glass, Sister, 49, Wid, GA/GA/GA. + Essie Cowan Culpepper, 28 Mar 1907 – 10 Jul 1974. Dan Barfield, Hired Man, M, 14, Sng, GA/GA/GA, Farm Laborer. Loura Culpepper, Mother-in-law, F, 58, Wid, md @ 20, GA/GA/GA. Mrs. W. F. Culpepper, d. 5 Dec 1936 in Dougherty Co., GA.
Willie Culpepper, Dau, F, 3, S, GA/AL/AL. Crown Hill Cemetery, Albany, Dougherty Co., GA.
+ Mary Agnes Culpepper Howell, 18 Nov 1896 – 17 Sep 1983. William F. Culpepper, d. 4 Aug 1941 at 67 years in Dougherty Co., GA.
Jewell Culpepper, Dau, F, 7, S, GA/GA/GA. Frank Culpepper, Nephew, M, Jun 1878, 21, S, GA/GA/GA. 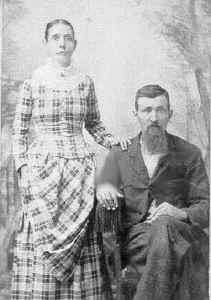 John D. Culpepper and Malissa McLendon on 29 Mar 1896 in Terrell Co., GA, Book C-189. Jewell Culpepper, Dau, F, 17, M, GA/GA/GA. J. B. Culpepper, d. 6 Dec 1928 in Colquitt Co., GA, #32203-J. Malina Culpepper, Mother-in-law, F, 72, wid, GA/GA/GA. Malissa A. Culpepper, d. 5 Aug 1930 in Terrell Co., GA, 22771. (It appears that the census taker was inconsistent with relationships above. The HH Nancy was the mother of John B. who was married to Francis. Apparently Samuel, Martha and Franklin are the children of John B. & Francis. Then the last two names, Nancy E. and James P. E., were apparently children of the elder Nancy.). Max L. Tatum, compiler, Randolph County, Georgia, Marriage Records: From the Beginning, 1828-1922, Albany, GA: , 1997. Samuel B. Culpepper and Sallie F. West, 16 Nov 1898, Randolph Co., GA, Book 7, p. 153. Ella O. West, Daughter, F, Dec 1878, 21, S, GA/GA/GA. E-mail written 2002 to Lew Griffin from Jonathan Snyder, Virginia Beach, VA.
Mattie E. Culpepper and Willis A. H. McMath on 16 Jan 1898 in Terrell Co., GA, Book C, p. 225. Pansy Culpepper, Wife, F, Wh, 18, md1-4yrs, ch 1/0, TN/TN/TN. E-mail written 2008-2012 to Culpepper Connections from Tim Savelle (gs/o #4636), Watkinsville, GA, e-mail address (Mar 2012). + Edy Culpepper, 1857 - 1931. Florence Culpepper, Daughter, F, Sep 1899, 8/12, S, GA/GA/GA. Daniel Culpepper, b. Jun. 28, 1881 d. Oct. 27, 1902. James Edward Culpepper, Leon Co., FL, White, 03 Jan 1889 - 02 Mar 1970. Jessie W. Culpepper, b. Mar. 2, 1894 d. Jan. 18, 1915. Annie F. Cupepper, Dau, F, 10, S, GA/GA/FL. Mary H. Culpepper, Dau (Granddau), F, 2/12, S, GA/GA/GA. Eddie Culpepper, Mother-in-law, F, 73, Wid, GA/GA/GA. Edie Culpepper, Mother-in-law, 68, Single, FL, FL, AL. Mrs. Edie S. Culpepper, d. 24 Mar 1931 in Mitchell Co., GA, # 7211. Mitchell County Court of the Ordinary, Mitchell Co., GA Marriages, 1861 – 1960, Salt Lake City, UT: Genealogical Society of Utah, 1967 Repository: LDS Family History Library - Salt Lake City, Call # Films # 522,772 - 522,780. Elizabeth Rosella Culpepper and Jesse A. Savelle on 7 Dec 1911 in Mitchell Co., GA, Book 5-528. Elizabeth Culpepper Savelle, Bay Co., FL, White, 08 Dec 1883 - 21 Feb 1972. E-mail written 19 Jul 2008 to Culpepper Connections from Debra Savelle (gd/o #4636), e-mail address. E-mail written 1999 to Lew Griffin from Holly Ann Culpepper (#36905), Atlanta, GA.
Max L. Tatum, compiler, Marriage Records of Eight Georgia Counties (2 vols. ), Albany, GA: Max L. Tatum, 1990 Repository: LDS Family History Library - Salt Lake City, Call # 975.8 V2t.James E. Culpepper and Annie Lee Clark on 23 Dec 1909 in Terrell Co., GA, Book C-439. Annie L. Culpepper, Wife, F, 19, md1-0 yrs, ch 0/0, GA/GA/GA. James C. Culpepper, Son, M, 3 6/12, S, GA/GA/GA. James Clements Culpepper; 1 Jun 1916 - 7 Mar 1978; Male; White; 61 Years; Place of Death: Swain, NC; Residence: Swain, NC; General Hospital; Married; Burial in state; Birth: GA; SSN: 262-05-2782. James E Culpepper and Annie Lee divorced in 1934 in Dade Co., Florida. James Edward Culpepper and Mary Culpepper divorced in 1950 in Leon Co., Florida. Thomas County Court of the Ordinary, Thomas Co., GA Marriages, 1926-1957, Salt Lake City, UT: Genealogical Society of Utah , 1958, Repository: LDS Family History Library - Salt Lake City, Call No. Films # 164,385 & 164,386. James E. Culpepper and Mary Darby on 20 Oct 1951 in Thomas Co., GA, Book EE-256. Mary Darby Culpepper, 1899 - 1980. Mitchell County Court of the Ordinary, Mitchell Co., GA Marriages, 1861 – 1960, Salt Lake City, UT: Genealogical Society of Utah, 1967 Repository: LDS Family History Library - Salt Lake City, Call # Films # 522,772 - 522,780. Floy A. Culpepper and T. B. Clark on 26 Dec 1909 in Mitchell Co., GA, Book 5-464. Thomas B. Clark died 27 Oct 1951 at 64 years in Dougherty Co., GA; Residence in Dougherty Co., GA.
Floy A. C. Clark died 3 Jul 1974 at 83 years in DeKalb Co., GA; Residence in Dougherty Co., GA.
Mitchell County Court of the Ordinary, Mitchell Co., GA Marriages, 1861 – 1960, Salt Lake City, UT: Genealogical Society of Utah, 1967 Repository: LDS Family History Library - Salt Lake City, Call # Films # 522,772 - 522,780. 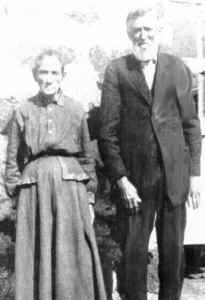 Jim K. Culpepper and Mamie Law Phelps on 22 Dec 1916 in Mitchell Co., GA, Book 1909-1928, p 142. Mary Phelps, Niece, 10, GA, GA, GA.
Calvin Culpepper, Roomer, Male, 23, Single, GA/GA/GA, Clerk/Shipping Co.
Calvin K. Culpepper, Oct 23, 1900 - Dec. 1, 1966. Nancy Culpepper, Mother, F, Feb 1830, 70, wid, GA/SC/SC. Record added 23 Nov 2007 by the Terrell Historical Society. Accessed 21 Jul 2009. Nancy Edie Culpepper, Apr. 3, 1875 - May 24, 1962 (Memorial# 23046784). James P. Culpepper and Edie Merritt on 07 Aug 1898 in Terrell Co., GA, Book C, p. 234. Allie M. Culpepper, Dau, F, 8, S, GA/GA/GA. Allie Culpepper, Dau, F, 17, S, GA/GA/GA. Allie M. Culpepper, Dau, F, 27, S, GA/GA/FL. J. P. Culpepper, d. 9 May 1933 in Lee Co., GA, 11026. Nancy E. M. Culpepper, d. 25 May 1962 at 87 years in Bibb Co., GA; Res. in Bibb Co., GA, 12623. Frank Culpeper, Boarder, M, Wh, 27, md, GA/GA/GA, Carpenter. Application Number 21713 - Started application in 1907 and finalized in 1911. Front Row, Left to Right, Julia Evaline, Rev. Amos Allison, Elizabeth Dale, Remilicent. I am in possession of the picture from my father, who got it from his father, who got it from wife, Ruby Dimple Culpepper, daughter of Edward Lee Culpepper, son of Rev AA and Elizabeth. I have a much higher resolution of the picture if you need it. Also, thanks for such great work on your site, I use it a lot. The information above is from the back of the picture. Photograph and identifications kindly provided by Loris Brewer. 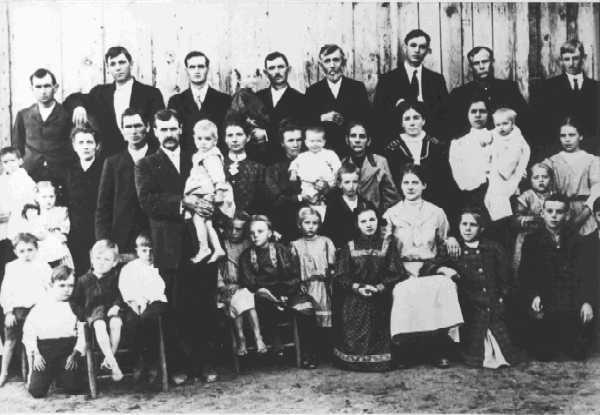 Loris' mother, Emma Lee Culpepper, is the little blond girl shown standing in the front row center. Directly behind her is her mother, Ida Tommy Culberson Culpepper. Directly behind Ida is her husband William Henry Culpepper, and to the left of him is his father, the bearded patriarch, and great grandfather of Loris: Amos Allison Culpepper. From Loris, we learn that "the Amos Culpepper family moved to Texas in 1870, sometime after the October 1870 census in Georgia. I am at a loss to explain why they did not appear in the 1880 Texas census even though it is known that they were in Caldwell County as early as 1873. The Amos Culpepper family bible has never surfaced. Some think it may have been lost in a home fire in about 1910." Amos Allison Culpepper - Born Sept 1, 1847 at Mason Georgia, married to Elizabeth Dail in 1869. Moved to Texas the later part of 1870 and settled in Frio County, from there, to Johnson County, then to Caldwell County, and finally to Bastrop County, near Red Rock in 1886, where they resided the rest of their lives. To this union was born eight (8) children. E-mail from Loris Orrin Brewer Jr. (#40497), e-mail address (Feb 2013), Lockhart, Texas, (http://familytreemaker.genealogy.com/users/b/r/e/Loris-O-Brewer/), 512-398-2797 to Lew Griffin & Warren Culpepper, 2001-2013. Henry Culpepper, 5/12, M, GA.
Charley Culpepper, 10/12, M, GA.
Allison A. Culpepper and Elizabeth Dail on 29 Nov 1868 in Terrell Co., GA, Book A, p. 242. Elizi Culpepper, 23, F, GA.
Allie Amos Culpepper, Ganado, Jackson Co., Texas, age 38, born 2 Apr 1880, Caucasian, Farmer, Nearest relative: Mrs. Edna Culpepper, Ganado, Jackson Co., Texas, Tall height, Slender build, Brown eyes, Brown hair, No disabilities. Registered 12 Sep 1918 at Edna, Jackson Co., Texas. Paul Adolphus Culpepper, 33, of Campbellton, Atascosa Co., Texas, born 2 Feb 1885, Caucasian, self employed farmer at Campbellton, Atascosa Co., Texas. 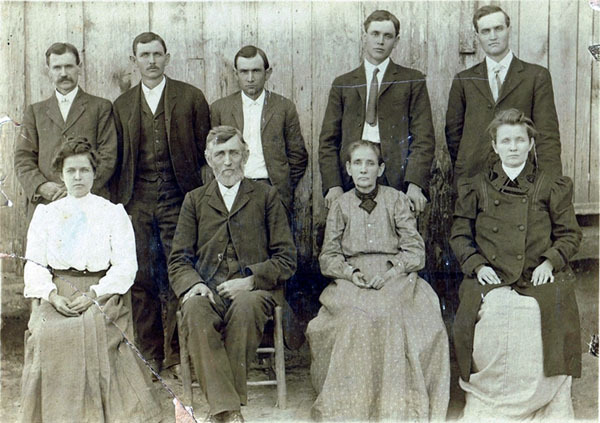 Nearest relative: Mrs. Elizabeth Culpepper, mother, of Red Rock, Bastrop Co., Texas. Medium height, slender build, blue eyes, dark brown hair and not disabilities. Registered 12 Sep 1918 in Oakville, Live Oak Co., Texas. Joel Rudolphus Culpepper, RFD#2, Dale, Caldwell Co., Texas, age 33, born 2 Feb 1885, Caucasian, Farmer, Nearest relative: Dora Culpepper, RFD#2, Dale, Caldwell Co., Texas, Tall height, Slender build, Brown eyes, Black hair, No disabilities. Registered 12 Sep 1918 at Bastrop, Bastrop Co., Texas. Joel R. Culpepper, Son, M, Feb-1885, 15, S, TX GA GA, Farm Laborer. E-mail written Dec 2009 to Warren L. Culpepper from Russell Alexander, Austin, Texas, e-mail address. Paul A. Culpepper, Son, M, 25, S, TX GA GA, Laborer-Odd Jobs. Elizabeth Culpepper, Wife, F, 73, M, GA NC GA.
A. A. Culpepper (Rev. ), died 15 Apr 1923 in Bastrop Co., TX, 10856. James Edmond, Other, M, 13, Servant, S, Black, TX UN UN. Henry W. Culpepper (Dr.) and Sallie D. Denham, 17 Oct 1883, Johnson Co., TX. Edward McMinn, Nephew, M, Nov-1891, 8, S, TX MS GA.
ED 31, sheet 9, line 23. Eliza A. McMinn, Uncle, M, 80, wid, MS/AL/AL. Ruibon Culpepper, Cousin, M, Sng, 28, Farmer, GA/GA/GA. Reuben T. Culpepper and Lee Lovelady, 22 Nov 1883, Johnson Co., TX. Geo. Mercy, Roomer, M, Feb-1860, 40, S, MO GA GA, Painter. ED 31, sheet 9, line 23ED 90, family 258. Carl W. Culpepper, Son, M, 41, M, md@39, TX/GA/GA, Copy writer, Advertising, Vet=No. John F. Culpepper, Brother, M, May-1854, 46, S, GA GA GA, Farmer. Ben Culpepper, Son, M, 10/12, S, TX GA TX. Ida Lee Culpepper, Dau, F, 5, S, TX GA TX. Ida L. Culpepper, Dau, F, 16, S, TX GA TX. John F. Culpepper, Johnson Co., Mar 20 1936, 15851. Nora L. Culpepper, 1887 – 1936. + Mrs. A. I. Culpepper, 1901 - 1937. Gilbert Culpepper, Son, M, Jun 1899, 11/12, S, GA/GA/GA. Ras Stokes, Nephew, M, S, W, 23, Laborer, GA/GA/GA. Adolphus Culpepper and Fannie Adams on 28 Nov 1874 in Macon Co., GA.
R. M. Culpepper and Dora Cain on 13 Jan 1898 in Terrell Co., GA, Book C, p. 225.